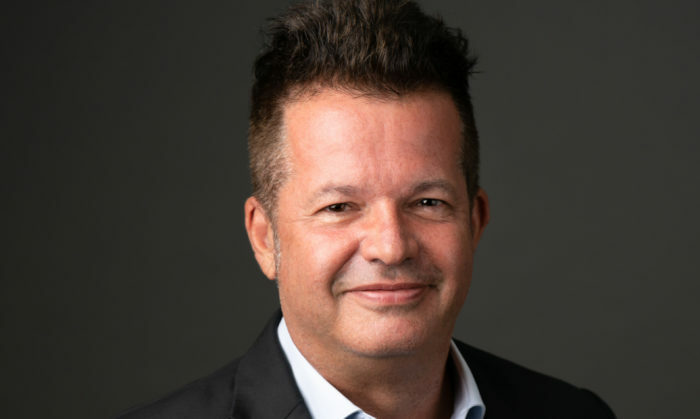 Omnicom Media Group has appointed Guy Hearn (pictured) as chief product officer for Asia Pacific as it aims to lead the continuous evolution of its agencies’ product offerings and increasingly place data at the core of its communications solutions. According to the agency, the appointment was made with the hopes of creating a “stronger data-led product offering” for both OMD and PHD, which will allow clients of both agencies to market more effectively in a ‘digital first’ world and yield optimal ROI on every dollar they invest. Formerly the chief innovation officer for the group, Hearn will be tasked to create, implement and champion products for the group’s APAC agencies such as OMD, PHD and Hearts & Science. In addition, Hearn will be working closely with the group’s specialised analytics division, Annalect, in a bid to further embed data and technology in the agencies’ marketing solutions. He will also be leading the network’s integration of Omni, a people-based precision marketing and insights platform. “As we continue to gain more holistic understandings of consumers and our ability to engage with them becomes more sophisticated in an increasingly connected ecosystem, agencies’ product offerings have to consistently evolve,” Tony Harradine, CEO of Omnicom Media Group Asia Pacific said. Hearn will report to Harradine. “By integrating various disciplines and the Omni platform under Hearn, we are placing a greater focus on the productisation of our best-in-class digital capabilities and data infrastructure to ensure our clients market more effectively in a ‘digital first’ world and yield optimal ROI on every dollar they invest,” Harradine added. When asked what prompted the change, the agency said it was the evolving consumer behaviours and the corresponding transformation in the media landscape as a result. By integrating various disciplines and new Omni platforms under the chief product officer role, the agency said it hopes to be able to shape more sophisticated data-led product offerings with a stronger and more comprehensive understanding of clients’ consumers. “Given the ongoing transformation of consumer behaviours as new technologies continue to emerge and disrupt the way brands engage with their consumers, there is an increasing focus on digital media and the targeting opportunities that data can unlock. By bringing strategy, data and analytics specialists and our new Omni platform to the table to shape our agencies’ product offerings, we can ensure clients benefit from the most integrated and data-focused solutions in the market,” the agency said in an exclusive statement to Marketing. “I truly believe that when we look back at the year 2018 in the future, we will be marking it as the moment when made a step-change in how we understand and communicate effectively with new generations of consumers,” Hearn said. Meanwhile Hearn, in an interview with Marketing added that be it in Singapore, or globally platforms are looking to differentiate and quickly innovate to deserve their share of consumer attention in an increasingly disruptive and fragmented media environment. As such, brands should be challenging their agencies to segment their audience and create addressable audiences at addressable moments, and be thinking about media not just as places to place ads, but understand how content and utility can create real connections. “While innovative solutions and media cost efficiencies are important, clients are increasingly wanting to know more about how to use data to personalise solutions for different consumers. When we say personalise, we don’t yet mean true 1-1 communication; what we mean is mass personalisation at scale. And that is exactly where clients should move their focus,” he said, explaining that cost efficiencies by media are the basis of what every agency should be delivering to their clients. “Especially in a market as small as Singapore, where all mediums are heavily leveraged and with highly digitised consumers who respond more to personalised connections, it is increasingly important to understand your audience and reflect their behaviours, passions, hopes, dreams and fears. This data lake gives us the opportunity to use data, and not just claimed research responses, to make those connections – and if we don’t, we will experience high media wastage,” he added. HTC's marketing lead justifies the brand's multi-million dollar campaigns despite its co-founder's remarks that efforts fell below.. The Mastercard Love Index has gathered data from credit, debit, and prepaid card transactions from the last three Valentine’s Day..